There’s a new event happening in the Fraser Valley in August, the Chilliwack Sunflower Festival! Starting August 22nd, and in the spirit of other flower festivals – Tulips of the Valley – you can wander 5 acres of sunflowers, in 17 different varieties, visit the sunflower shop, U-Pick, and have plenty of photo ops. Some of the sunflowers could reach up to 12 feet tall! Witness how this amazing flower follows the sun throughout the day with sunrise openings Fridays, Saturdays and Sundays throughout festival. Arrive early and see how all the bloom face east and watch the sun rise, sleep in and enjoy lunch at the fields while the flowers look straight up to the sky, or visit in the evening as the flowers face west and say good night as the sun sets. Refreshments will be on site, including ice cream, play on one of the swing sets, and shop for your spring bulbs. Pick up some fresh cut flowers including a selection of summer flowers from our partner business, Onos Greenhouses. 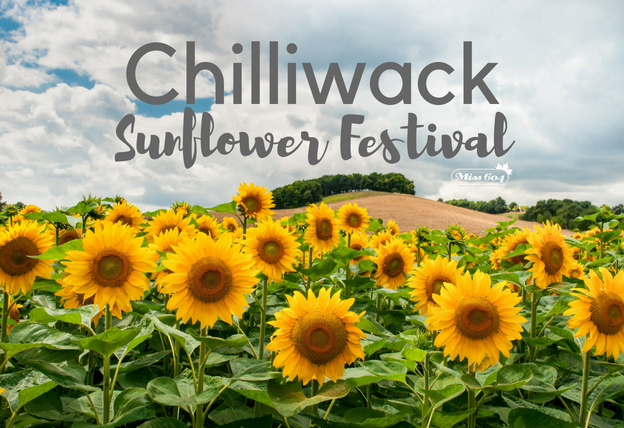 Follow the Chilliwack Sunflower Festival on Facebook and Instagram for more info. What a lovely way to spend a summer day, sunflower watching!